5 x 1-1/4" polyurethane casters. 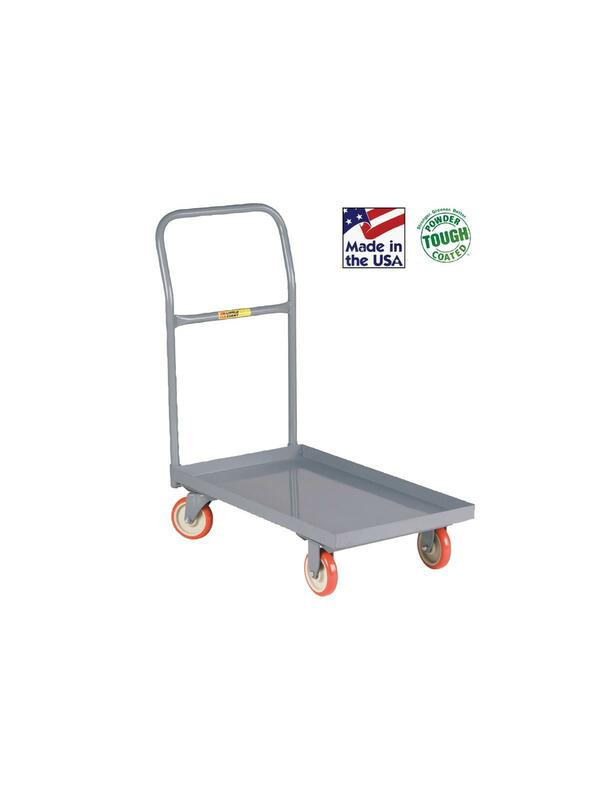 This solid, yet economical pallet truck is fully assembled and ready for use. 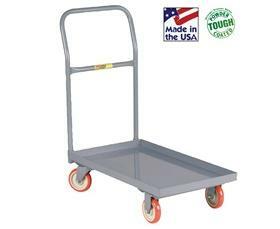 These all welded steel pallet trucks are built for long, trouble-free service in medium duty applications. Removable cross-brace handle extends 28" high above the reinforced formed steel deck. Steel deck is available with flush edges or a 1-1/2" retaining lip. FOB Shipping Point.